cancelling fibre - improve non-fibre speed due to distance? 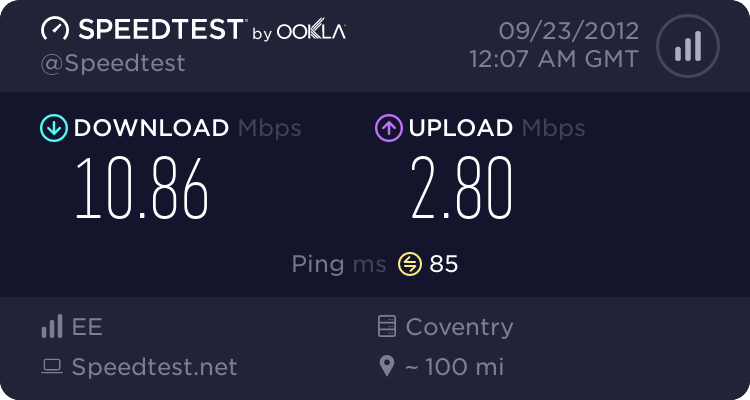 I have BT infinity and very pleased with it - consistent and good reliable speed. Prior to FTTC my BT exchange was approx 3km away and I received speeds of about 4Mb. Upon FTTC install my fibre cabinet is about 150m away and I get 74Mb. 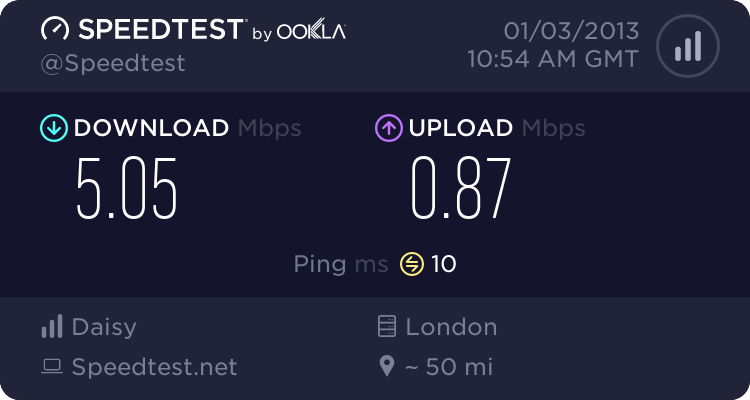 Question is, if I were to cancel BT Infinity when the contract expires in a few months, will my phone line still be connected to the nearer cabinet and thus if I reverted back to a non-fibre connection, the speed would be much greater due to the shorter distanace? Or would BT reconnect me back to the original exchange? Interesting question. I think it depends on what sort of equipments they have in your nearest exchange. If you were to go for an ordinary ADSL or ADSL2+ connection, you would be connected at the exchange again, so you would have simular speeds as before (4Mb as opposed to 74Mb). I hope you don't mind me ask, but what's the reason for cancelling? Is it to save money? You would be put back to ADSL or ADSL 2+ whichever is available at your exchange which would serve direct from the exchange and not the newer fibre cabinet. The new cabinet will only serve a VDSL signal they dont revert to ADSL therefore you are back to your 4MB you had before. exchange, BT dont do adsl from cabinet. Thanks for all the replies. I suspected I would be connected back to the original exchange. Someone asked why cancelling, mainly due to the money. My wife been made redundant and we are reviewing costs. Don't want to go back to adsl but have other priorities for my money! Plus net are currently offering FIbre Unlimited for £9.99 for 6 months and £19.99 after that. You're not going to find ADSL much cheaper than that. When you phone BT why don't you ask for a MAC instead and say you are looking to move to a cheaper service. You might be surprised at how much they will come down on price to keep you as a customer. how long you had it - the minimum contract period spent ? Just to add a bit of meat to what the others have said, this page explains the way the connection is changed to deliver FTTC. If you cancel it they would just revert to a normal connection in the phone cabinet. My broadband basic info/help site - www.robertos.me.uk | Domains,website and mail hosting - Tsohost.